What is a mainland limited liability company? A mainland limited liability company is a company registered with the department of economic development of an emirate, which requires 51% of the shareholding owned by a local UAE citizen. 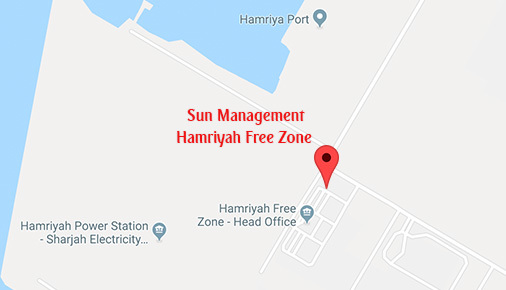 A mainland limited liability company operates its business under a trade license issued by the department of economic development of the respective emirate, which is renewable every year. What is the shareholding pattern possible in an LLC? One or more local UAE citizens must own 51% shares of the issued capital of the company and one or more foreign citizens / foreign companies can own the remaining 49% of the issued share capital. UAE citizens who own 51% shares are generally called local sponsors or local partners. Who controls the bank account of an LLC? The Memorandum of Association can be drafted in such a manner that only the foreign owner can open, operate and close the bank account(s). Can an LLC import / export / trade internationally and locally? Yes, an LLC can trade locally and internationally. An LLC can also trade with free zones entities in UAE through local dealer or agents. Who arranges local UAE citizen partner (sponsor) for incorporation of an LLC? If you are known to any UAE citizen who is willing to be your sponsor it is well and good otherwise if you do not know any local UAE citizen, we can arrange local partner for you at a reasonable fixed annual fee. Is local sponsor involved in the day-to-day operations of the business of an LLC? No, they are not involved in the day-to-day business operations of the company; they only help in visa and immigration processing for the company. They can also assist any work related to various government and semi government departments of UAE. Is physical office required to open an LLC? 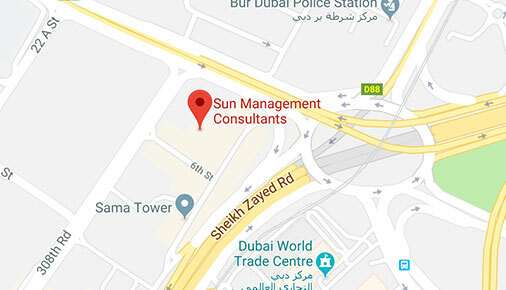 Yes, you are required to rent a local office in the emirate where you want to open an LLC. You will require to maintain an office throughout the life of the LLC. Can an LLC open its branches in UAE and internationally? Yes, an LLC can open its branches all over the UAE, including free zones. An LLC can also open its international branch(s). In which emirates an LLC can be incorporated? An LLC can be incorporated in all the seven emirates of UAE namely Dubai, Abu Dhabi, Sharjah, Ras Al Khaimah, Ajman, Fujairah and Umm al Quwain. What is the minimum capital required to open an LLC? It depends upon the emirate you open the LLC and the business activity you opt for your trade license. What kind of visa shareholders get in an LLC? Shareholders of the company get investor visa from General Directorate of Residency and Foreigners Affairs (GDRFA) directly. No labour approval is required for investors. How many people can be employed in an LLC? You get approval for number of employment visas based upon the size of the office space. What is a free zone company? Do I need a UAE citizen as a partner to open a free zone company? A free zone company is registered with a free zone authority and does not require any local UAE citizen shareholding. Foreign citizen(s), company (s) can own 100% shares in a free zone company. 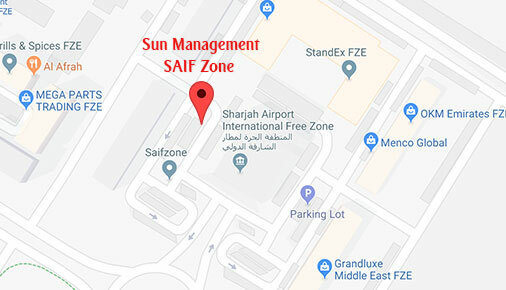 What is the difference between Free zone Establishment (FZE) and Free Zone Company (FZC / FZCO)? A free zone establishment has only single shareholder whereas a free zone company generally has 2 to 5 shareholders. How many employees can be employed by a free zone company? It normally depends on the free zone where you register the company and the office space you lease from the respective free zone authority. Sometimes this is also governed by the packages offered by the free zone authority. What kinds of facilities available in free zones? Can I open an industry in a free zone? Most of the free zones have offices, warehouses and open land for light industrial units. Industries can be opened in some free zone but not in all the free zones. There are various approvals required to start an industry in any free zone. What are the advantages of opening a free zone company? Mainly it is 100% ownership to foreigners and 100% corporate tax exemptions apart from various other exclusive facilities. Free zone companies still fall under the purview of value added tax and excise tax. Can I register any activity in any free zone? Every free zone has its own set of approved activities which are available for selection. It is your requirement what kind of activities you want to choose from. There are also restrictions on number of activities you can include in your license. Which free zone should I open a company? This decision is mostly based on the cost factors, number of visas required, business activity you choose for trade license, distance from other emirates and finally it’s a matter of personal choice. Can a free zone company trade internationally and locally? Yes, it can trade internationally on its own and locally through a registered dealer or agent under the rules and regulations of the respective free zones. How many free zone companies can I open? You can open as many free zone companies as you want subject to the approval of the free zone authorities. These companies can be either in the same free zone or various free zones. Can a free zone company open a bank account with any bank? Yes, it depends upon the bank if they are willing to open the bank account after completing their compliance. You can also open a bank account in a foreign country. What is the minimum capital required to open a free zone company? Every free zone has its own requirements but generally it varies between AED 25,000 to AED 1 Million (approx. US $ 6,800 to US $ 272,500). What are the numerous advantages of opening a free zone company? A company incorporated with certain offshore jurisdiction to operate worldwide but without any tax liability at the incorporated jurisdiction. An offshore company is a very important tool to operate and control wealth management. Do I get residence visa when I open an offshore company in UAE? No, you do not get any residence visa for shareholder or an employee of the offshore company, to get a visa, you need to have a limited liability company or a free zone company. Can an offshore company open a bank account in UAE? Yes, within the limits of central bank rules and regulations. What are the commonly used jurisdictions in UAE? Jebel Ali Offshore, RAK ICC and Ajman Offshore. Can an offshore company become a shareholder of an LLC or a free zone company? Yes, an offshore company can own shares in an LLC or a free zone company. Can an offshore company trade in UAE? No, an offshore company cannot conduct business in UAE. It can only trade outside UAE. Can an offshore company buy a real estate in UAE? Yes, subject to the approval of the offshore jurisdiction authority. What is the purpose of incorporating an offshore company? Generally offshore companies are opened as holding company, manage group shareholding and complex structures, special purpose vehicle, holding investments, real estate protection, tax savings and to own intellectual property. It is issued by General Directorate of Residency and Foreigners Affairs (GDRFA) that allows the foreigners to enter and stay in the UAE legally for a certain period. This entry permit may be in a physical or an electronic form. The entry permit has a validity date, which refers to the period within which the entry permit must be used by the person by entering the UAE. The duration of stay for each entry permit differs according to the type of entry permit. For example, entry permits for transit allow the person to stay in the country for 4 days, while entry permits for employment allow the employee to stay in the country for two months, during which his sponsor must change the employee’s status into residence visa. It is issued to the foreigners when the person is already inside the country having entered using the entry permit. A residence visa requires the person to undergo a medical test and prove that the person is medically fit. The person must also pass a security check. The validity of stay on a residence visa varies according to its type and the sponsor. It could be for one, two or three years. The GDRFA will stick a residence visa on the passport enabling the person to travel freely in and out of the UAE within the validity period of the visa, provided the duration of travel does not exceed six months, or else the residence visa will be cancelled automatically. Can a shareholder sponsor his family to UAE on residence visa? Yes, investors with a minimum capital investment in the business and minimum salary requirements can process their family visas. Can an employee sponsor his family to UAE on residence visa? Yes, employees with a prescribed minimum salary and prescribed profession can process their family visas. If I have visa of one Emirate, can I stay and move in any other Emirates? Yes, you can stay at any emirate and freely move to other emirates. I am on a visit visa and holding a valid international driving car license of my country, can I drive in UAE? Yes, visitors holding valid international driving licenses can drive in UAE when they are on visit visa. I am, on residence visa, can I use car driving license issued in my home country, in UAE? No, you can only drive in UAE if you hold a valid UAE driving license. Citizens of certain prescribed countries can exchange their driving license with the UAE driving license. Are the employees taxed in UAE? No, all the employees get tax free salary in UAE and their income is not taxable in UAE. For how many days, can I stay outside UAE if I am on a residence visa? if you hold a residence visa of UAE and want to maintain your residence visa status in UAE, you cannot stay for a continuous period of more than six months outside UAE. Can you get my education and marriage certificate attested? Yes, we can assist you in getting this done. Can you assist me in getting my Emirates ID? Can you check my P.O.Box and deliver my posts on a periodic basis? Yes, we do this for many of our clients at a nominal annual fee. Can you assist me in getting my family a UAE residence visa? Can you assist me in getting my maid a UAE residence visa? Can you help me changing the shareholding structure / activity / manager of my company? Yes, we do all kind of simple and complex restructuring and trade license amendments. Can you help me getting exchange my valid driving license issued in my home country to UAE driving license? Yes, if you have valid UAE residence visa and your country is in the list of prescribed countries. Can you help me in renewing my trade license, Chamber of commerce registration and P.O. Box? Can you help me getting chamber of commerce registration and import export code for my company? Yes, we generally do it for most of the companies we incorporate. Can you help me opening a bank account in UAE? Yes, we can assist you. However, it entirely depends on the profile of the client, the nature of business, bank’s terms & conditions and compliance approval. Can you help me closing / liquidating / winding up my company? Yes, we can do it by following the proper rules and regulations of respective emirate or free zone. Can you help me in renewing / cancelling residence visa? You are always welcome to contact us by e mail or phone, we will be happy to answer your questions to the best of our knowledge and experience.